Buenos Aires-based construction equipment provider Covema has been appointed the distributor of Manitowoc crawler cranes and Grove mobile cranes in Argentina. Currently a Manitowoc Crane Care partner, Covema will now offer the company’s full range of All Terrain, Rough Terrain and crawler cranes throughout Argentina. It will also be responsible for providing spare parts, service and training. Established in 1965, Covema is also the distributor for a range of construction and mining manufacturers including New Holland, Wirtgen, Schramm, AFM, Hamm, Kleemann and Vögele. 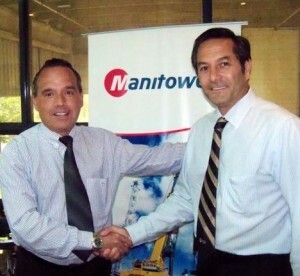 Based just outside of Buenos Aires, the company is in situated close to Manitowoc’s production facility in Passo Fundo, Brazil.